Here is another look at an interesting prototype railway to model. As with the last look, I hope this will inspire another small layout design. Cover Photo by Bob Welke. The northern peninsula of Michigan has been known for mining copper, iron ore and other substances. One commodity required for mining is explosives. With the volatile nature of explosives it makes sense to manufacture close to the delivery/usage point. 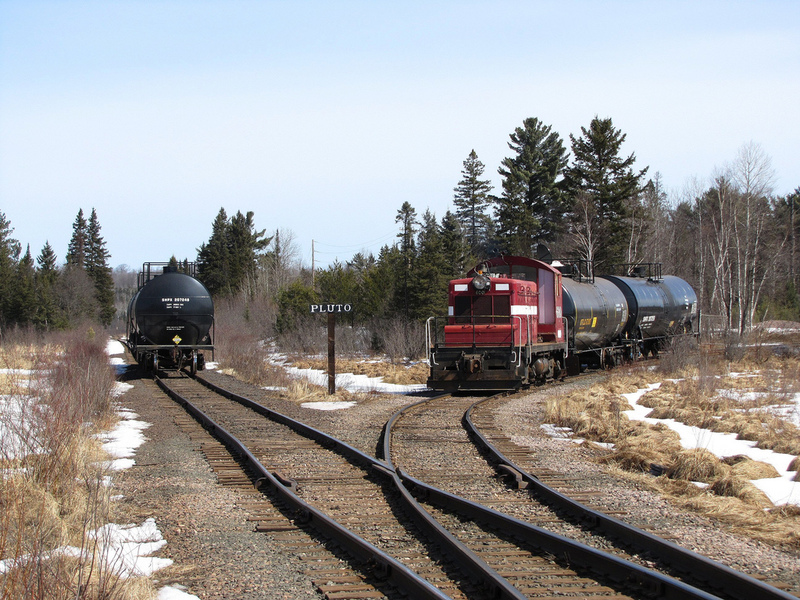 Pepin-Ireco Inc is one explosives manufacturer in the area that receives their raw materials by rail. Finished products are then delivered by truck. Pepin-Ireco Inc is serviced by Vreeland Rail. 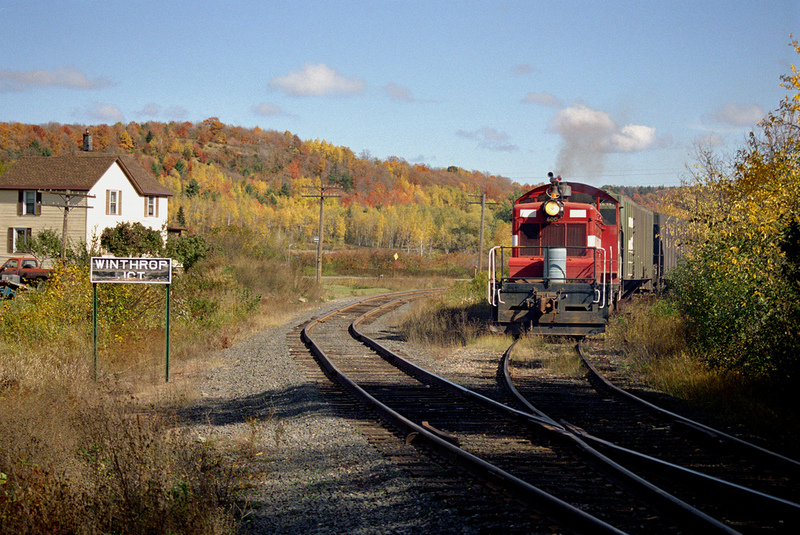 The line is the old CNW line running south from Ishpeming to beyond National Mine. 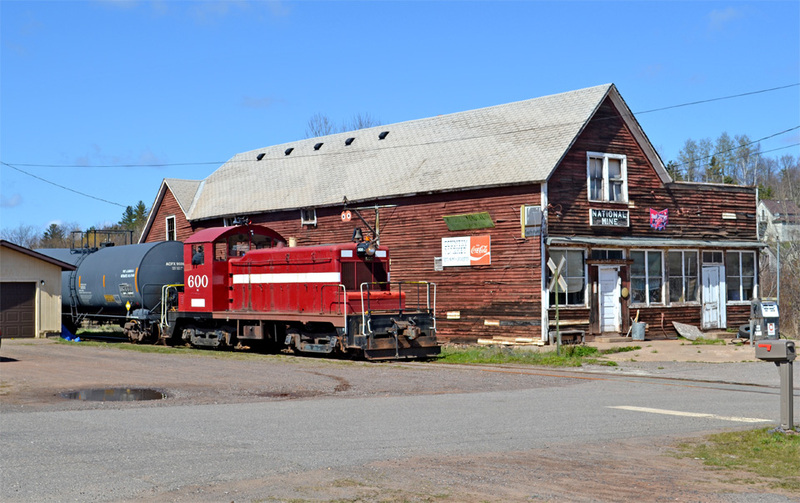 Until recently the line was operated as the “Mineral Range Railroad” (not to be confused with the old Mineral Range Railroad in the Keewenaw) but is now “Vreeland Rail”. 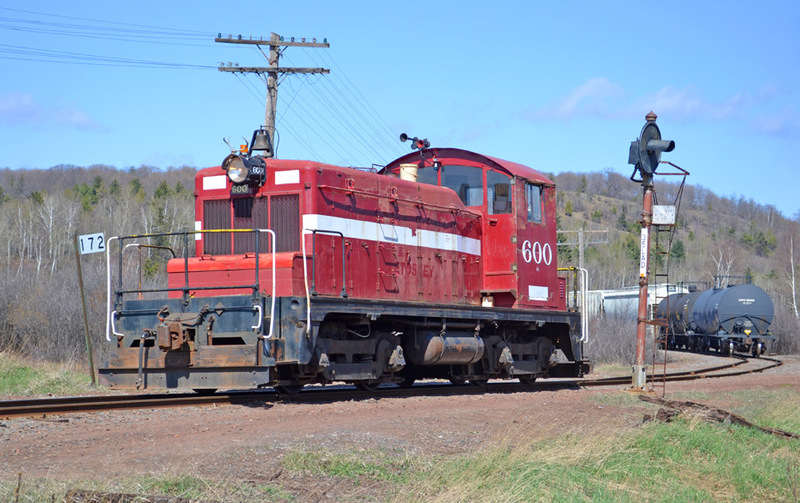 Operations are simple; The CN sets out the cars for Vreeland Rail on the siding at Winthrop junction which is just past Washington street south of Ishpeming. Vreeland Rail will shove their train from Pluto all the way to the interchange and leaves them on the east side of Washington St.
Vreeland Rail then picks up their train off the siding and heads back south. If there is a car for the scrap dealer they place it on the rear of the train and leave it on the main for loading. The whole trip takes less than an hour. Passing through National Mine on the way to Pluto. Photo by Bob Welke. Switching at Pluto. Photo by Mark Andersen. All the turnouts face one way and the loco is always on the south end of the train. The entire line has three turnouts, one at the north end near Washington St. to pocket cars while retrieving cars from CN, and two at the explosives plant. 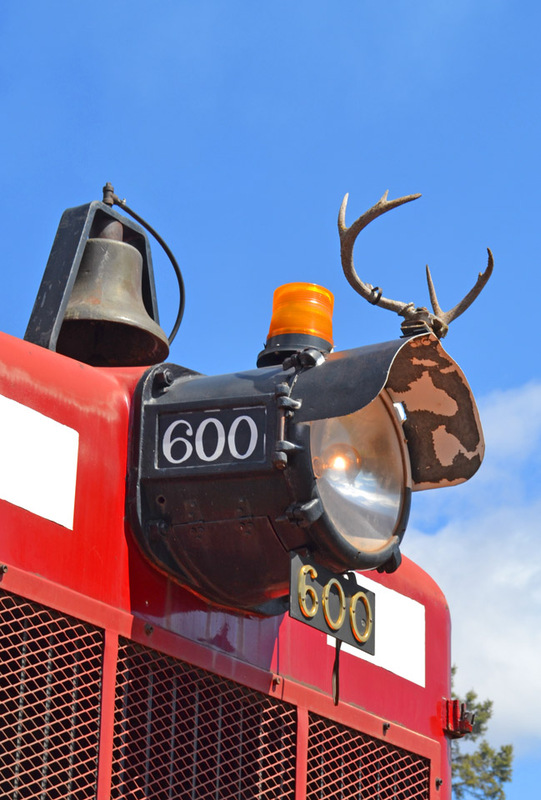 Only three types of cars are found on the line, Covered hoppers, tank cars and sometimes a gondola for the scrap yard. Vreeland Rail is a prototype inglenook. It could easily be modeled on a shelf or as a micro layout. It offers operation with an interchange. I look forward to hearing about how someone made a layout from this little railroad. I model the DM&IR, a mining railroad in Minnesota. There are explosives operations like this on the Missabe but I have never been able to find any detailed information about them. I’ve been looking for this type of information to build a somewhat freelanced industry as a shelf layout or portable Free-mo module. Let me know if you make something (small layout or free-mo) on this idea. Glad it has been helpful! I do not see where they would have run around to make this possible.. I think I misunderstood, I thought you wanted to model the whole thing, from pick up at Winthrop Jnc. till drop off aswell. So I wondered, when there’s the scrapcar on the mainline, where does the Vreeland loco go? 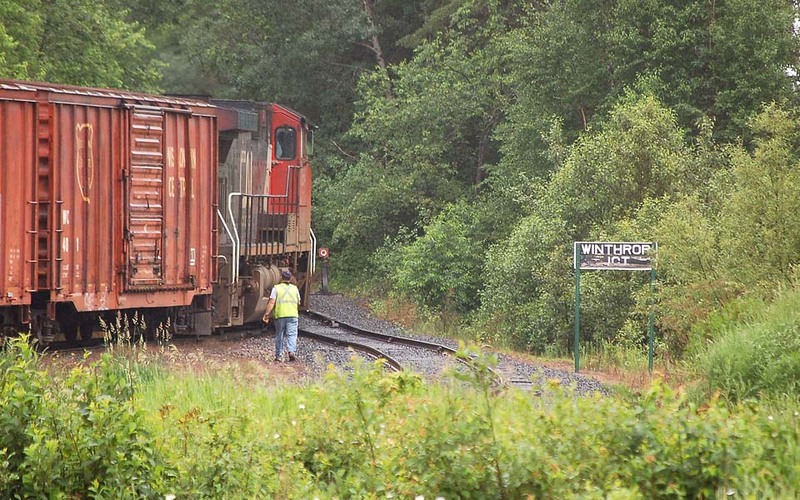 When there is a car for the scrap yard, they pick up the car at Winthrop Junction (making sure it is the last car) and leave it on the main at the scrap yard. The next trip back will need to push the scrap car (ready or not) to Winthrop Jct. I found this to be a very interesting subject for a small layout, but have not committed to modeling it myself yet. If I did, I would want to do the whole thing. I’ve been planning (and finally started working on this year) some one trak modules based on the Vreeland. I’ve started the Winthrop Junction and Pluto modules and then fill in between as I have time to work on more modules. Can anyone get any info on how they got the covered hopper in front of the engine (I imagine towed by a backhoe or similar) and why did they do this? How did they leave it at Winthrop for interchange? 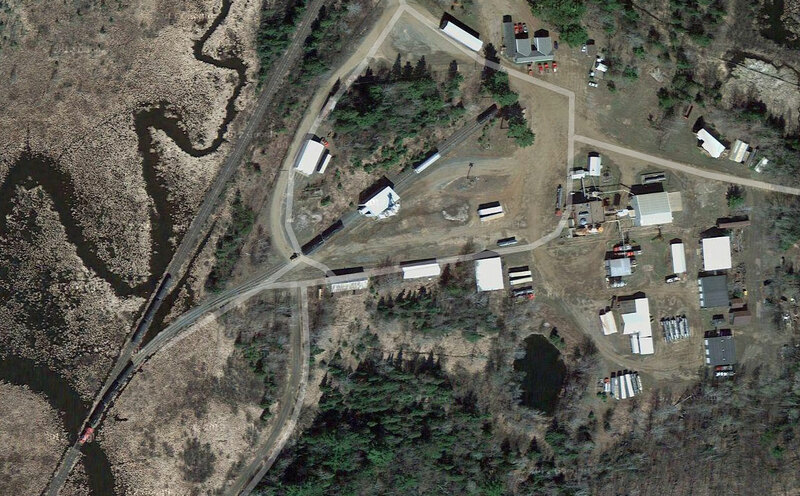 Craig, if you are referring to the image at Winthrop, that is a dead end spur that the CN placed the cars on. Then Vreeland simply backs into it. Also, the yahoo group groups.yahoo.com/group/yooperrails/ has many people that can answer operations and current equipment. BTW, the line has been sold again and a motive power change is in process.